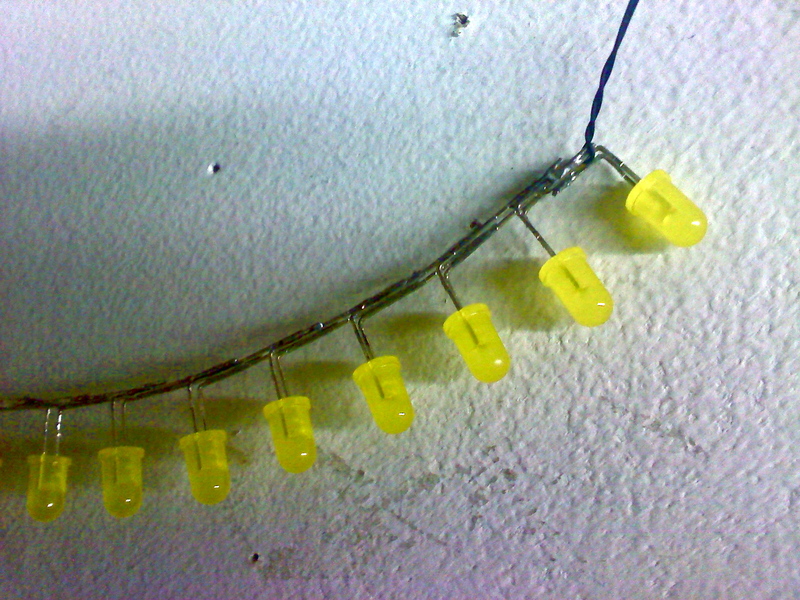 A few months ago I put together a LED string for an award designed by Largent Studios. I liked the way the LEDs connected & thought they might look good just like that. 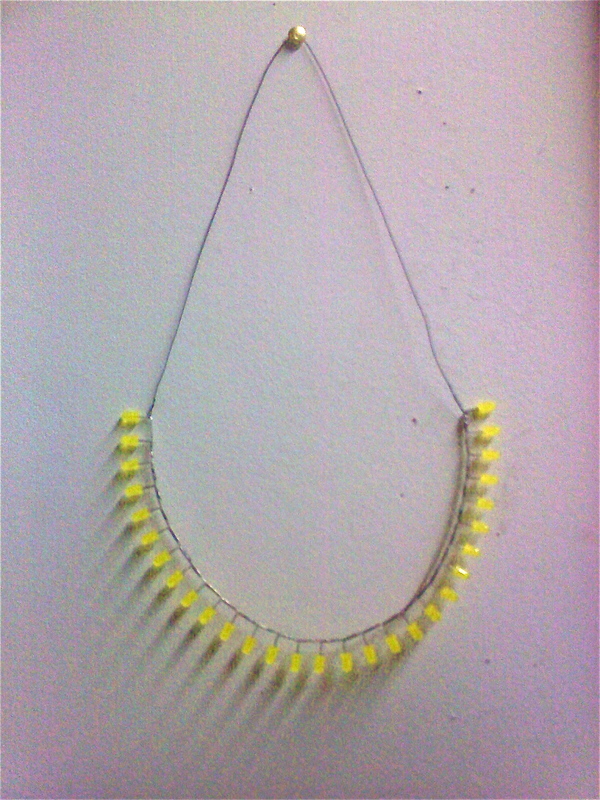 This necklace is my first attempt. Neat thing is, the LEDs are powered by coin batteries that are just slipped in between the + and – LED terminals. Previous Previous post: New Levels!